STORM® Avis boosts specific muscle fuel stores that support bursts of accelerated flight or an increase in speed. As athletes of the sky, sporting birds rely on optimal muscle function for sustained power and speed in flight, as well as endurance. Muscles must contain adequate fuel for exercise and be adapted for efficient energy generation and be able to recover quickly. Fighting muscle fatigue is also important if you want to optimise flight performance. When tired or fatigued, flight muscles will lose power, performance will be compromised and inevitably the speed of flight slows. Fatigue can be a consequence of muscle acidosis triggered by the build of H+ including from build up of lactic acid in flight muscles during exercise. Carnosine is a small ‘protein like’ substance in muscle that helps to counteract muscle acidosis by attracting H+ ions, acting like a buffer or ‘biological sponge’. 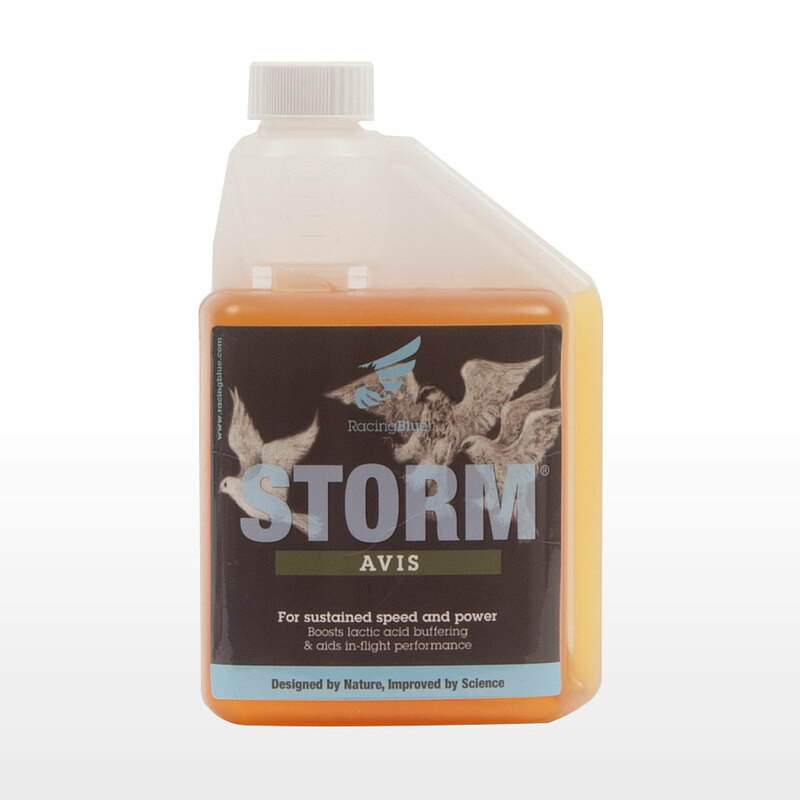 STORM® Avis delivers an increase in muscle carnosine giving better management of muscle acidosis, allowing your birds to maintain speed and power for longer. 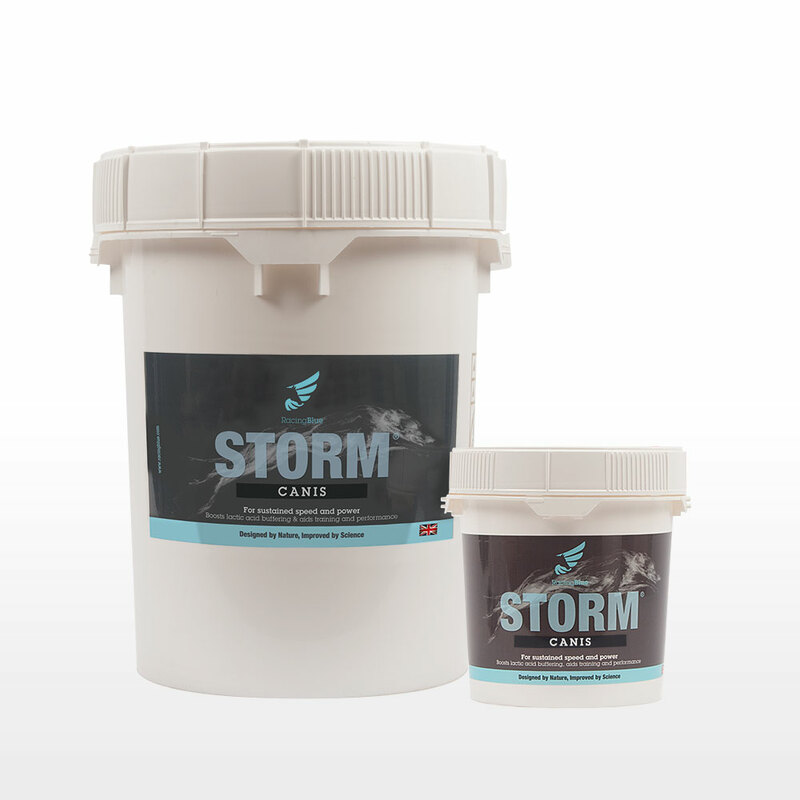 ProCarnosine®, a key active ingredient in STORM® Avis has been conclusively shown to increase the level of carnosine in muscle in many species. Muscle recovery and repair following intensive flying is essential to allow birds to ‘bounce back’ before the next race or competition. 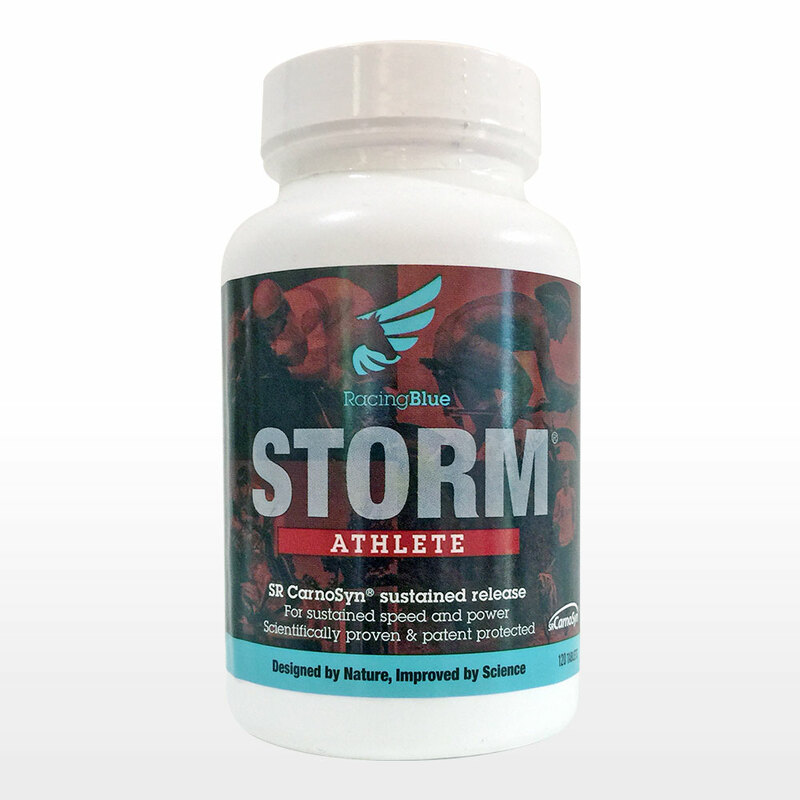 STORM® Avis provides key nutrients to limit muscle soreness and to support fast recovery by promoting muscle protein synthesis. STORM® Avis promotes speed, power and endurance and supports recovery following training flights and competition. This scientifically proven revolutionary product can transform your birds, both in training and during racing or competition. STORM® Avis is suitable for all sporting birds. STORM® Avis contains four active ingredients with no excipients or fillers. It combines specialist alpha and beta amino acids, with other amino acid derivatives and a functional carbohydrate to support absorption from the digestive tract. Strict quality control measures are set for sourcing ingredients and manufacturing STORM® Avis. 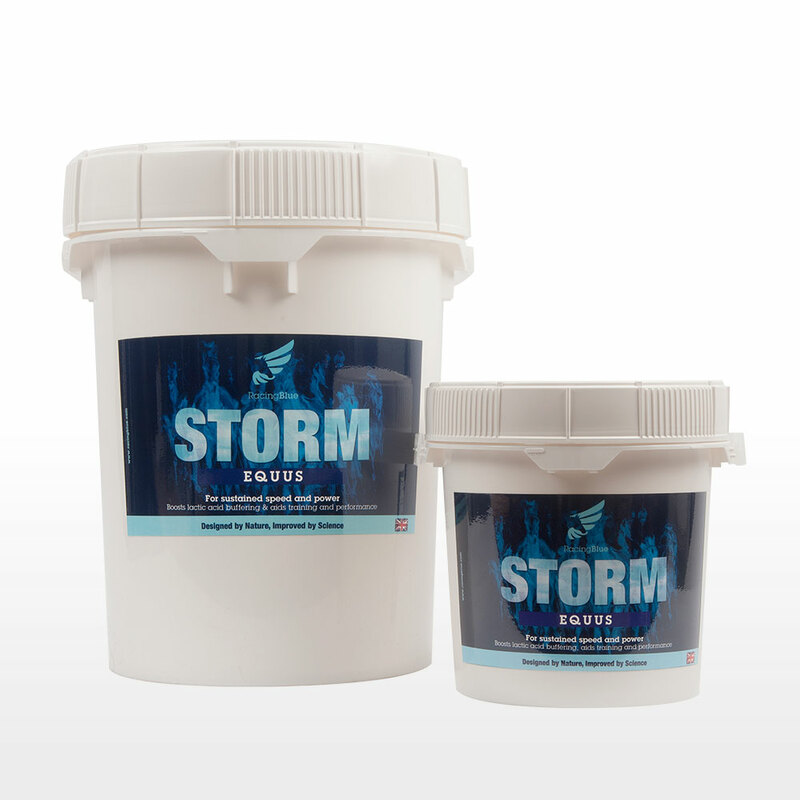 STORM® Avis comes in the form of a liquid which can diluted in the drinking water (1:100 dilution, 20mls into a 2 litre drinker)) or be fed via a syringe to larger birds such as raptors. Each batch of STORM® Avis is tested for specified naturally occurring prohibited substances before being released for sale. 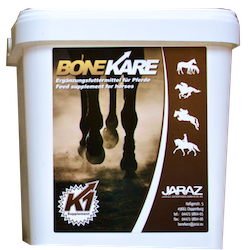 World-renowned nutritionists have carefully formulated this product and the science is proven by scientific research in horses, dogs and human athletes. The original research that underpins STORM® Avis was carried out at The Animal Health Trust in Newmarket by the Racing Blue nutritional team. STORM® Avis is currently being trialled in racing pigeons by leading University researchers as well as with leading fanciers. STORM® Avis uses a unique combination of proven active ingredients including ProCarnosine®, which is supported by a suite of global patents covering its use in athletic animals. 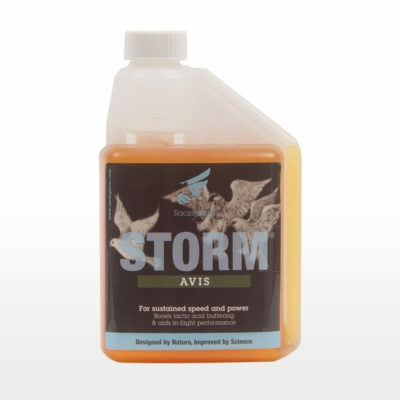 STORM® Avis is the only product available proven to deliver such comprehensive support for muscles in sporting birds.